Ford India launched the EcoSport facelift back in November last year and is now working on a new variant of the compact SUV, known as the EcoSport Signature Edition. A test-mule of the upcoming model was recently spotted undisguised, revealing what Ford has in store with the new variant of its popular compact SUV. As compared to the standard version of the EcoSport, the Signature Edition will come equipped with new alloy wheels, an all black front grille, new black decals on the tail-gate with the ‘Signature’ badging and a new spoiler. Reports suggest that the interior of the EcoSport Signature Edition featured blue coloured accents on the dashboard and door trims as opposed to the orange coloured accents on the regular variants. 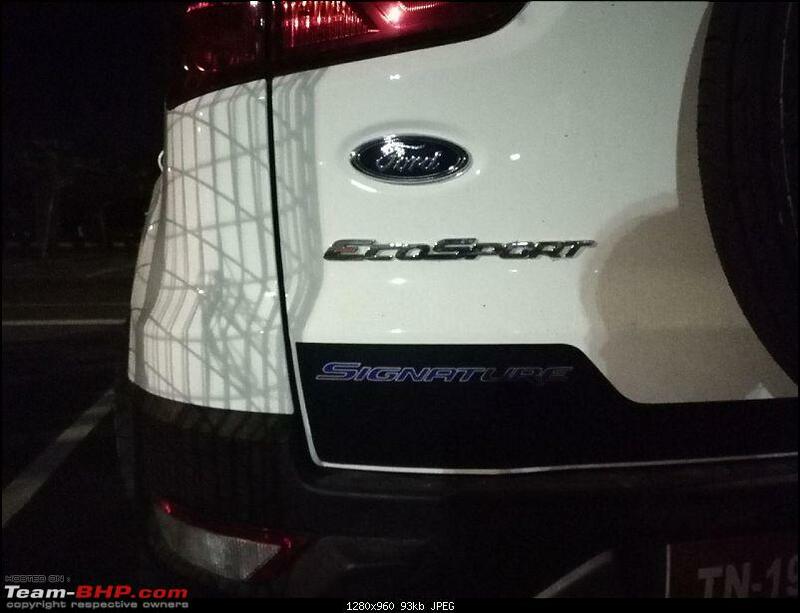 The Ford EcoSport Signature Edition seen in the spy images here does not feature a TDCI badging hinting that the model is powered by the all new 1.5-litre Dragon petrol engine. 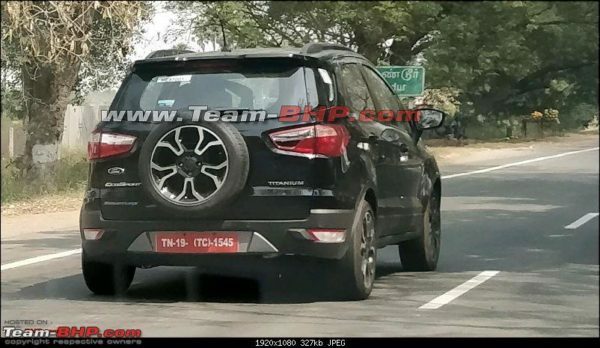 The 1.5-litre diesel engine is also likely to be offered on the upcoming Signature Edition of the new EcoSport. More updates are likely to surface soon. Stay tuned.